You can help to protect your data in a number of ways while it is in transit and at rest, such as by using Secure Sockets Layer (SSL) or client-side encryption. 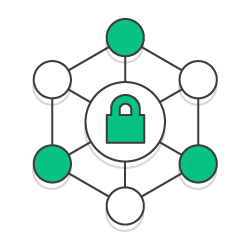 AWS Key Management Service (AWS KMS) is a managed service that makes it easy for you to create, control, rotate, and use your encryption keys. AWS KMS allows you to create custom keys, which you can share with AWS Identity and Access Management users and roles in your AWS account or in an AWS account owned by someone else. In a new AWS DevOps Blog post, BK Chaurasiya describes a solution for building a cross-region/cross-account code deployment solution on AWS. BK explains options for helping to protect your source code as it travels between regions and between AWS accounts. For more information, see the full AWS DevOps Blog post.